And there’s still plenty of pesto left over to use in dressings and to dip things in between now and the actual St. Patty’s day. This pesto (which is similar to this one) is a super sneaky way to get in more greens, which are good for you on every level – improving circulation, bringing in oxygen, detoxing cells and even lifting the spirit. They’ll also help counter act some of the not-so-good for you stuff (read: green beer) we may over do in honor of our patron saint in green…. For the pesto, first put garlic clove in food processor and process to chop. Then add walnuts and chop. Add spinach, olive oil, lemon juice, salt and process into a smooth consistency. Last, add the basil and process until evenly blended and smooth. Add more olive oil and/or water until desired consistency is reached. In a large skillet, heat 1 tbsp olive oil over medium heat. Add diced onion and sautee until translucent. Add broccoli florets and sautee about 10 minutes until cooked through. Top pasta with broccoli mix and then pesto. Yep definitely watched those same four episodes of Chopped… I’m addicted to the Food Network. But, this looks fantastic! 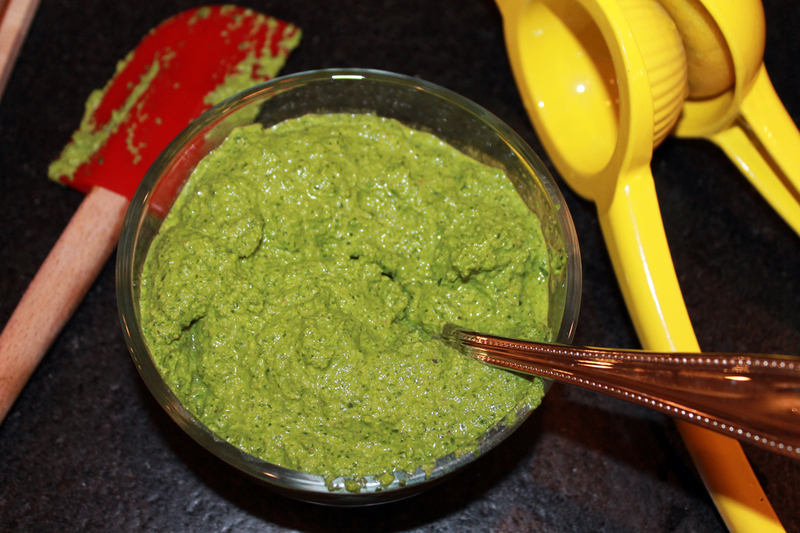 I have been dying to try kale pesto and now it looks like I need to add spinach pesto to the list as well! 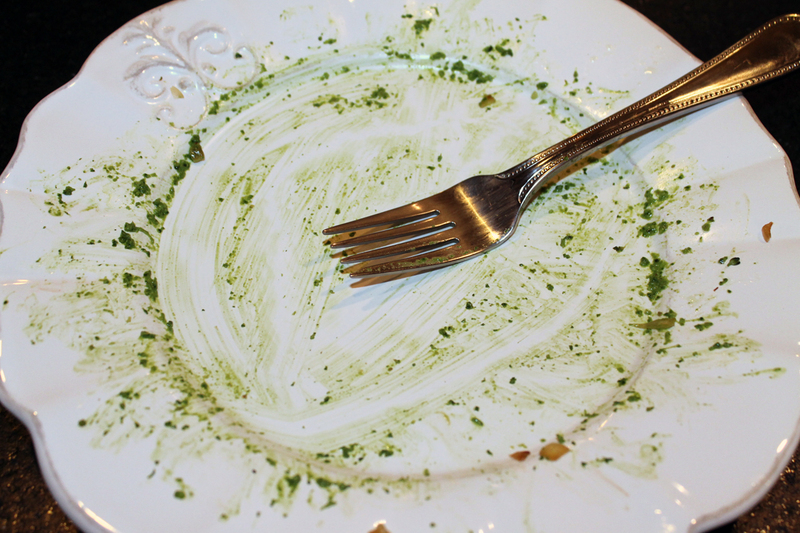 Just read your St. Patricks Megg Salad. You are very talented. You know I would have a hard time eating the food you write about but I really enjoy reading your blogs. I am very proud of you and my prediction I will see you one day on the Today Show should happen. I loved your comment about “the husband”.